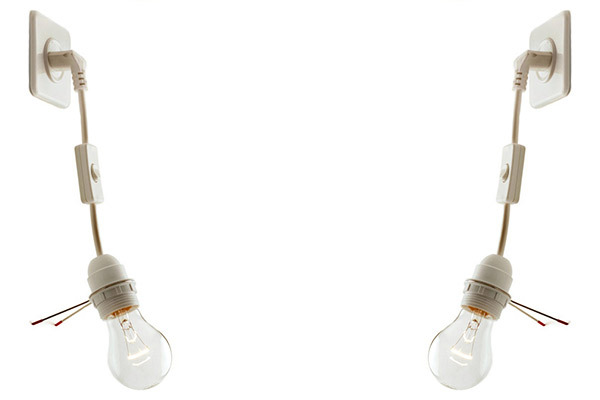 The minimalist lamp for maximal enlightenment. 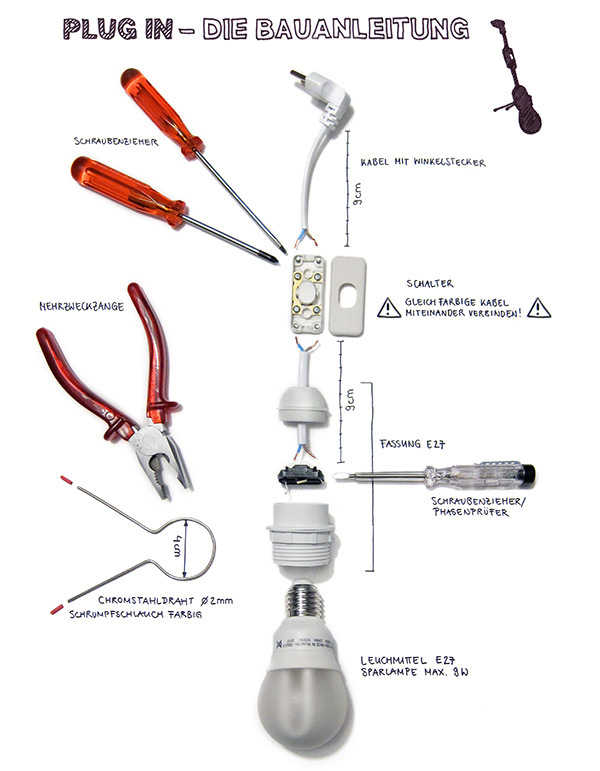 PLUG IN consists completely of standardized electric components. 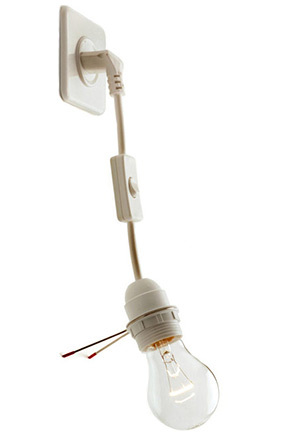 The bent connector and the small pedestal allow you to plug the lamp directly to a wall socket. PLUG IN lights up all forgotten corners of our living.